Every so often, an important book comes along. This is one of them. 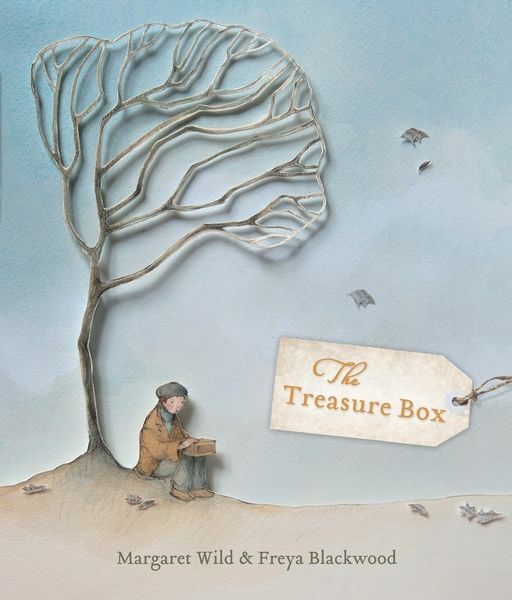 From two of our most talented picture book creators, Margaret Wild and Freya Blackwood, comes The Treasure Box. 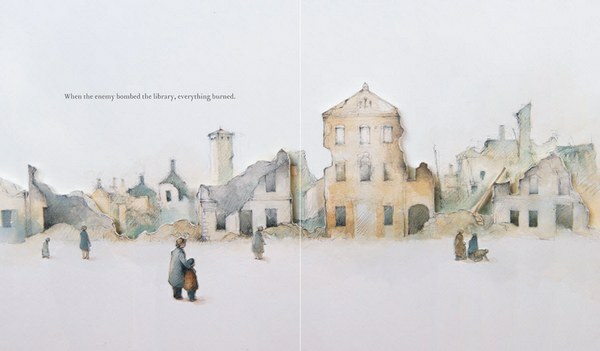 Blackwood’s fragile, expressive illustrations (a combination of ink and water colour) are overlaid on sections of text taken from foreign editions of The Silver Donkey by Sonya Hartnett and Once by Morris Gleitzman. The montage pieces of text give the pages depth and dimension, as well as providing a ‘foreign’ backdrop for relevant sections of the story. As the boy grows up, away from his home country, the sections of foreign text fade away, only to be reintroduced when he opens the treasure box once again, many years later. As well as using the foreign text, Blackwood also uses colour to visually progress the story. Notably, the subdued palette on the opening pages sits alongside Wild’s poignant text. Colour is introduced as Peter catches glimpses of what lies ahead in a new country – the red hull of the ship that takes him there, the pale blue walls of his new school. 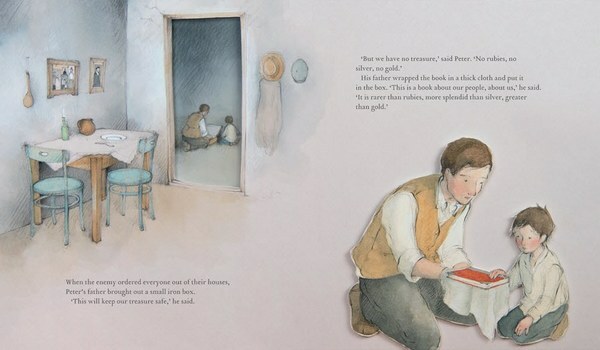 The first page bursting with colour shows Peter, now grown-up, returning to his home country – peace has been restored, buildings re-built, the countryside green again. This book will mean different things to different people. For many it will have literal meaning and for that reason, it’s a very important book. The Treasure Box is available online directly from Penguin Books Australia. It’s suitable for children aged seven years and over.